The Florida Gators (9-3, 5-3) defeated the Florida State Seminoles (5-7, 3-5) on Saturday to end the losing streak to their rival. Florida dominated on offense from start to finish as quarterback Feleipe Franks had a really good day throwing the ball. 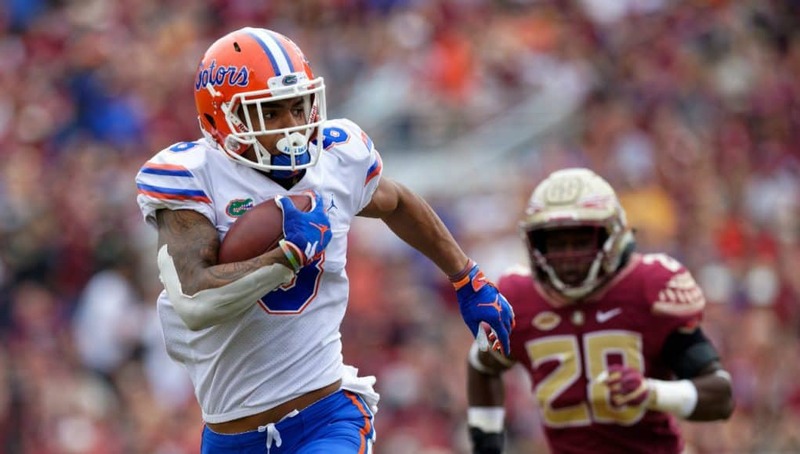 The Gators defense was able to get pressure on Florida State quarterback Deondre Francois all day to limit Florida State on offense. Florida 3, FSU 0- 27-yard field goal is good by Evan McPherson with 0:00 to go. Scoring Drive: 9 plays for 66 yards, 3:47 time of possession. Florida 10, FSU 0- 74-yard touchdown run by Lamical Perine with 13:24 to go. Scoring Drive: 1 play for 74 yards, 10 seconds time of possession. Florida 13, FSU 0- 23-yard field goal is good by Evan McPherson with 7:35 to go. Scoring Drive: 5 plays for 57 yards, 1:20 time of possession. Florida 13, FSU 7- 15-yard touchdown pass from Deondre Francois to Cam Akers with 5:25 to go. Scoring Drive: 8 plays for 75 yards, 2:10 time of possession. Florida 20, Florida State 7- 3-yard passing touchdown from Feleipe Franks to Josh Hammond with 10:53 to go. Scoring Drive: 12 plays for 75 yards, 4:07 time of possession. Florida 27, Florida State 7- 22-yard touchdown pass from Feleipe Franks to Trevon Grimes with 6:20 to go. Scoring Drive: 1 play for 22 yards, 8 seconds time of possession. Florida 27, Florida State 14- 4-yard rushing touchdown by Deondre Francois with 4:16 to go. Scoring Drive: 7 plays for 75 yards, 2:04 time of possession. Florida 34, Florida State 14- 38-yard touchdown pass from Feleipe Franks to Van Jefferson with 14:53 to go. Scoring Drive: 8 plays for 75 yards, 4:23 time of possession. Florida 41, Florida State 14- 9-yard rushing touchdown by Jordan Scarlett with 3:56 to go. Scoring Drive: 6 plays for 44 yards, 3:53 time of possession.